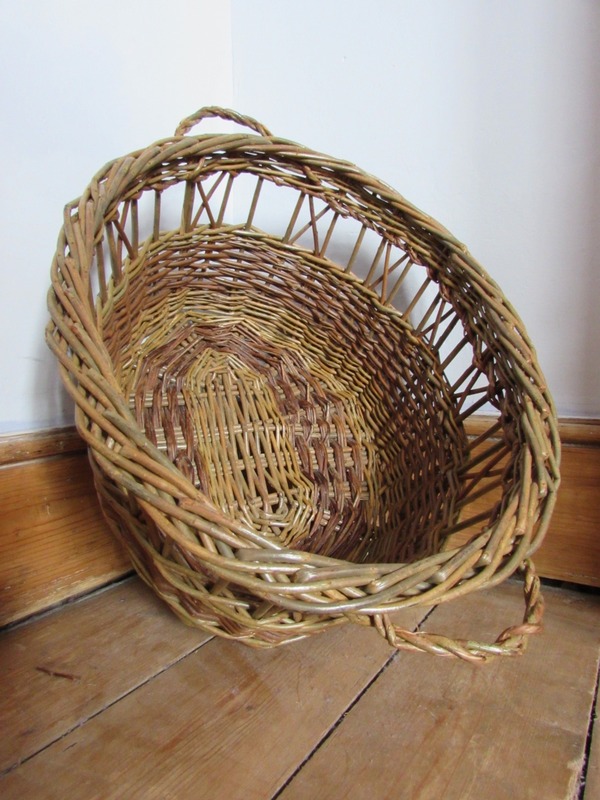 On my first basketry course I created a lovely brown willow Fowl Crate with basket maker Hilary Burns. 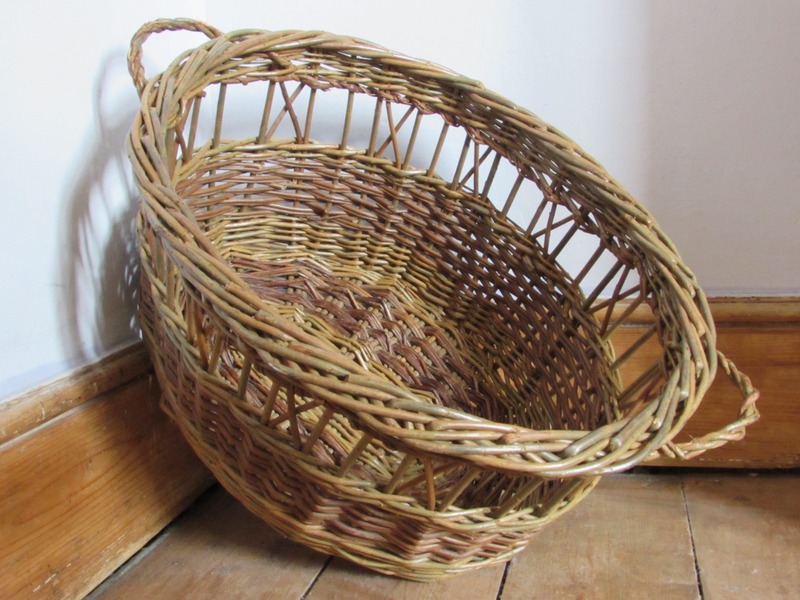 The Fowl Crate was a replica of one in the MERL basket collection and involved techniques such as fitching and twisted rope handles. I subsequently removed it's lid, (I had no hens that needed containing!) and it now functions as my perfect size laundry basket.